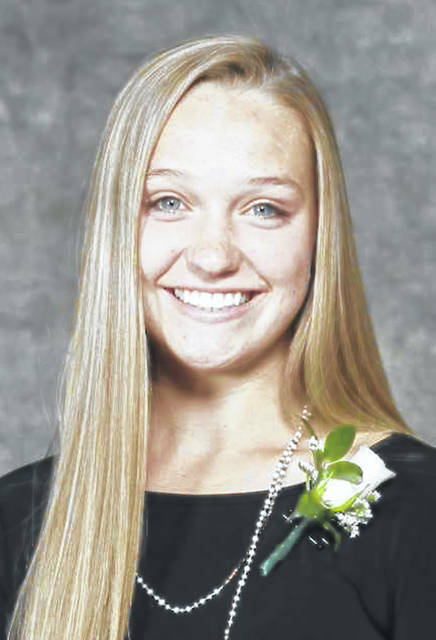 Kendall Sestili, of Delaware, was one of 25 youth recognized with an Ohio 4-H Achievement Award for their outstanding efforts in veterinary science projects. Sestili is attending the National 4-H Congress in Atlanta this weekend with youth from all over the country. Sestili, 15, has been a 4-H member for 10 years and is active in veterinary science, market goats and rabbit projects. She is the daughter of Molly and Greg Sestili and lives in Dublin in Delaware County. She is currently a sophomore at Dublin Jerome High School. She plans a career in veterinary medicine. The Ohio 4-H Achievement Awards are hosted annually by the Ohio 4-H Foundation at the Nationwide & Ohio Farm Bureau 4-H Center in Columbus. Ohio 4-H is the youth development program of The Ohio State University Extension, part of The Ohio State University College of Food, Agricultural, and Environmental Sciences. More than 156,000 young Ohioans participate in 4-H clubs, groups and special-interest programs. Follow The Delaware Gazette on Twitter @delgazette. Like The Gazette on Facebook.